The emotional and mind blowing story of Bajrangi Bhaijaan is all set to be dubbed in sign language, so, now the special people can also watch the film and appreciate it. On the request of Geeta, the deaf-mute Indian girl stranded in Pakistan and set to return to India dubbing of film will be undertaken by the help centre for persons with special needs being run in Tukoganj police station. In past famous films like Sholay (1975), Gandhi (1982), Munnabhai MBBS (2003) and Tare Zameen Par (2007) had been dubbed into sign languages, but this was not done for any commercial benefit, it was done only for the benefit of special persons. As the Centre has completed all formalities for her return to the Country, Geeta is likely to return to India by October 26th. Geeta is a huge fan of Salman Khan and has expressed her desire to meet the star along with her family. "I have recently interacted with Geeta, who is in Karachi (Pakistan), through video call using sign language. She said that Salman's Bajrangi Bhaijaan should be dubbed into sign language so that she and a large number of people like her would be able to watch and understand the movie, especially its songs and dialogues in a better way," Head of the help centre and sign language interpreter Gyanendra Purohit told PTI. Bajrangi Bhaijaan, directed by Kabir Khan was released on July 17, 2015. 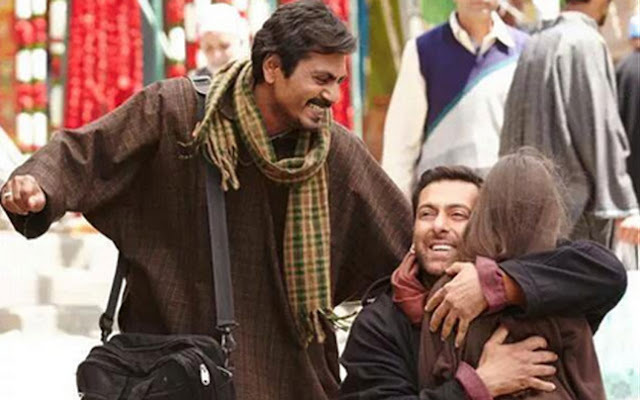 Starring Salman Khan, Kareena Kapoor & Nawazuddin Siddiqui, the film collected amount of more than 300 Crores on Box Office. Film narrates the story about a little Pakistani girl who loses her way on the Indo-Pak border and finds herself in India. The character played by Salman leaves no stone unturned to re-unite her with her family in Pakistan.